You deserve a team of professionals that show appreciation for your time and provide you with real solutions and honest feedback. 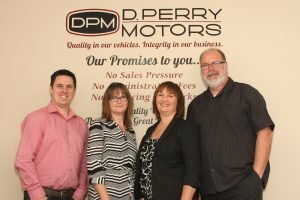 Fortunately, at D. Perry Motors that’s precisely what we aim to provide. Join us today and get to know our experts as we offer you a customer service experience that stands out and gets you results that matter. We look forward to meeting you!